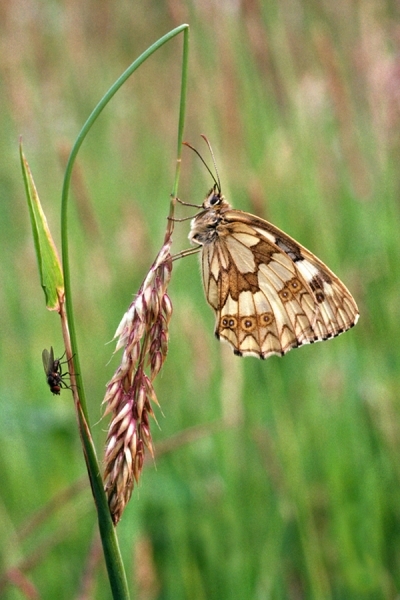 Home | Butterflies | Marbled White on grass stem + fly. Marbled White on grass stem + fly. Photographed in Pamber Forest nature reserve,Hampshire.